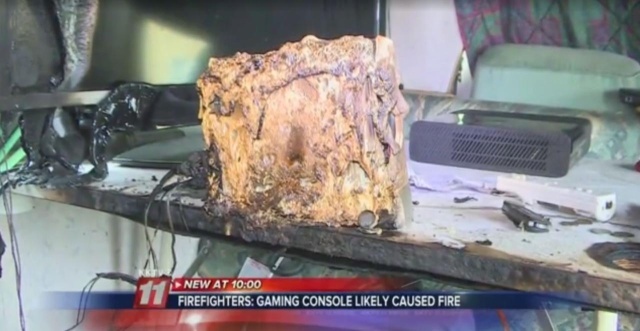 (Ars Technica) – While it’s not entirely unusual to hear about gadgets starting fires in the home—particularly when it comes to gadgets sporting lithium-ion batteries—it’s not often that said gadget is a games console. According to a KKTV News 11 report, a man in Colorado Springs lost part of his RV in a fire that was apparently started by a Nintendo Wii. While the precise cause of the fire is still being investigated, firefighters at the scene told News 11 that with smoking and “all other possible sources of ignition” ruled out, the only other potential cause was the Wii. Trevor Pellegrin, the owner of the RV, claimed that the fire investigators were around “99 percent sure” the Wii was the cause. Pellegrin says that the console, which was several years old, was being used to watch Netflix and then was turned off before he left the RV. It was, however, left plugged into the mains. “This is where I live,” he said, “this is my possessions. It might not be much, but it’s all I had. And then I lost it all, over a game console.” According to Pellegrin, his insurance company is due to check out the scene soon and will take an X-ray of the Wii to confirm that it started the fire.